When it comes to our moms we want to give them our best because we know they always gave their best to us. Unfortunately, time and life can get in the way of getting the best Mother’s day gift. 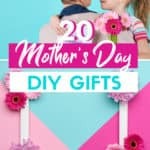 So I took the time as a husband and dad to search the internet to find the Top 20 Easy DIY Mother’s Day Gift Ideas to help all of us out. 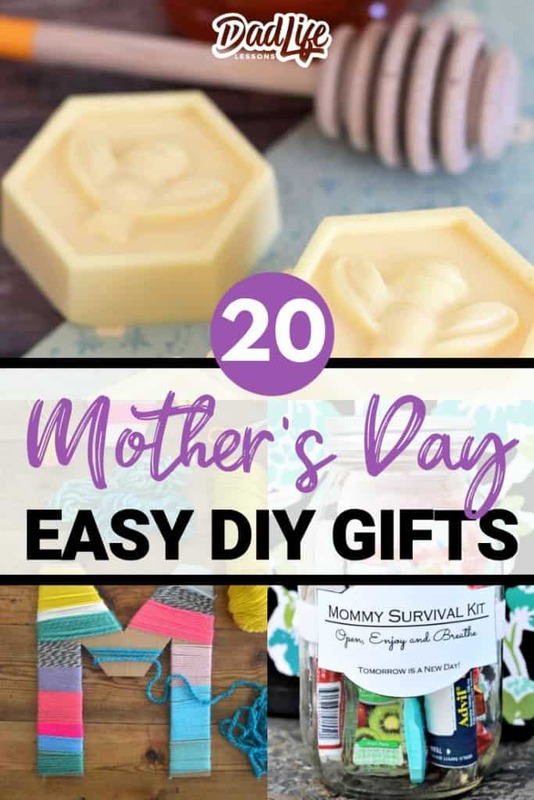 Some of these DIY Mother’s Day gift ideas can be done last minute while others will take a little preparation in advance. 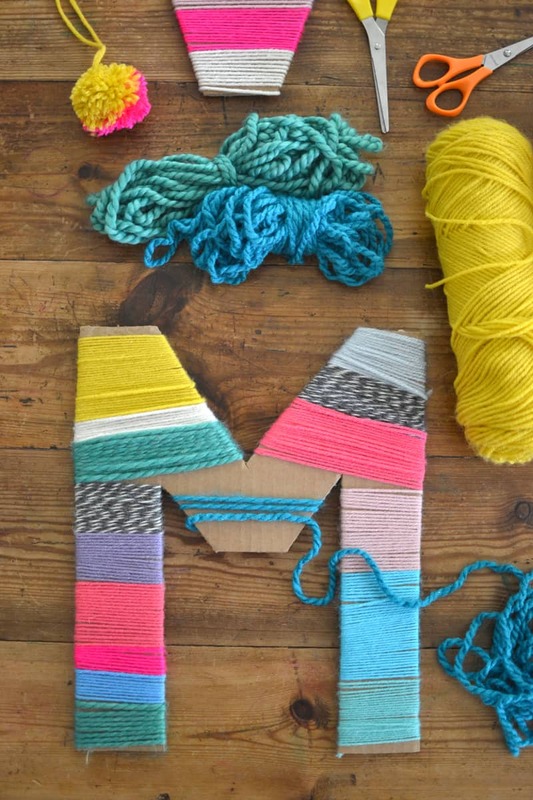 Depending on when you are reading this will affect which DIY gift you choose. All of these Mother’s Day gift ideas are sure to warm her heart. Thumb Print Flower Pot – by Mom Always Finds Out. This one is for the moms that have or want to have a little bit of a green thumb. 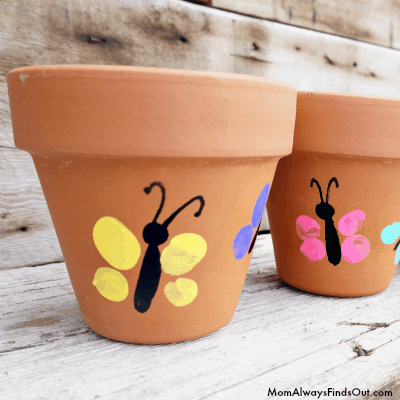 The kids will love to make these custom thumbprint butterfly flower pots and each one will be unique. Make the thumbprint flower pot in advance so you can plant her favorite flower or herb in it. It will have her smiling for months as the herbs or flowers bloom. 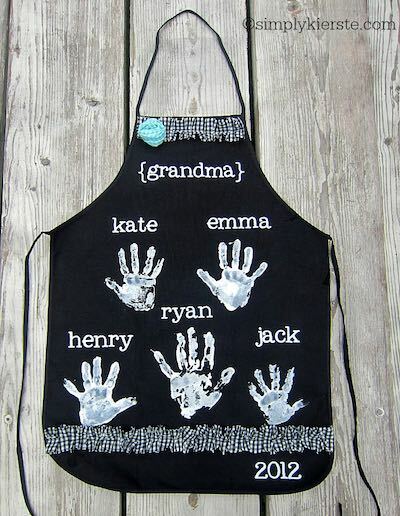 This is an apron that may get used or kept as a memory. This is a gift that helps us remember that we don’t just cook for ourselves but the ones we love. Any mom that loves to cook and gets this gift on Mothers Day will light up like a brand new light bulb. I may have to get the kids together and make this for my wife as she loves to cook. Let’s be honest most moms these days are walking around with a mug in their hand so why not make it even more useful. This mug will allow you to jot down those short thoughts before you forget them. You could also prepare a special cup of coffee and write a cute note on it. You could also fill it with her favorite coffee snack to go with it. 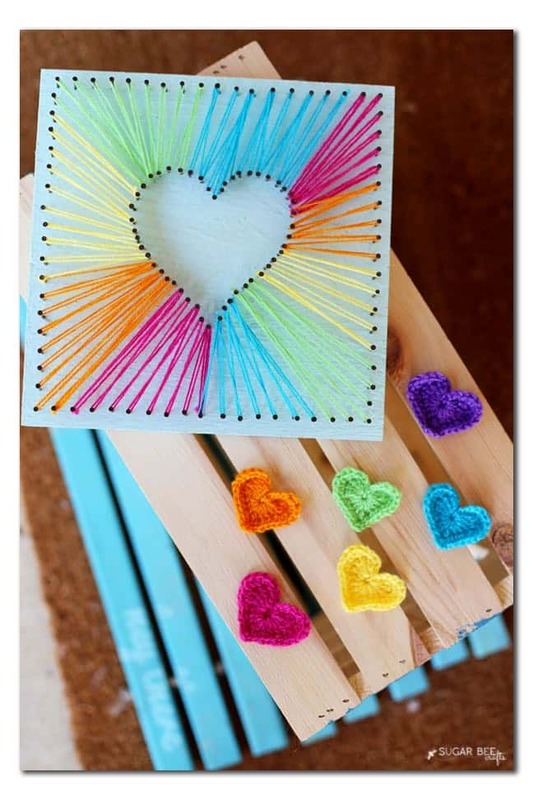 Help the kids show mom just how much they love them with this adorable Heart String Art. You can customize it with the colors you choose to make it a one of a kind art piece. This will let mom know you have captured her heart. For the younger kids you will probably have to help but for teens, they should be able to tackle this Heartstring art themselves. Mom will love this easy DIY Mother’s day gift idea. How cute is this one for the little ones to create? Have them make out their Mom’s initials or even just have them do a special wrap of “MOM”. Let the kids choose the colors, they can be one color or multicolored. You could take it to the next level and put them in a frame or tack them to a piece of wood. This is a mason jar loving mom’s dream gift. Even if you don’t have a mason jar handy you can easily pick one up at Walmart or order some on Amazon. You can pick out her favorite fake flower while your at it. I would even suggest you print out an extra picture or two, that way if mom wants to change it up from time to time she can. I know moms have plenty of drawers of pictures and crafts but this is one craft she will want to display. 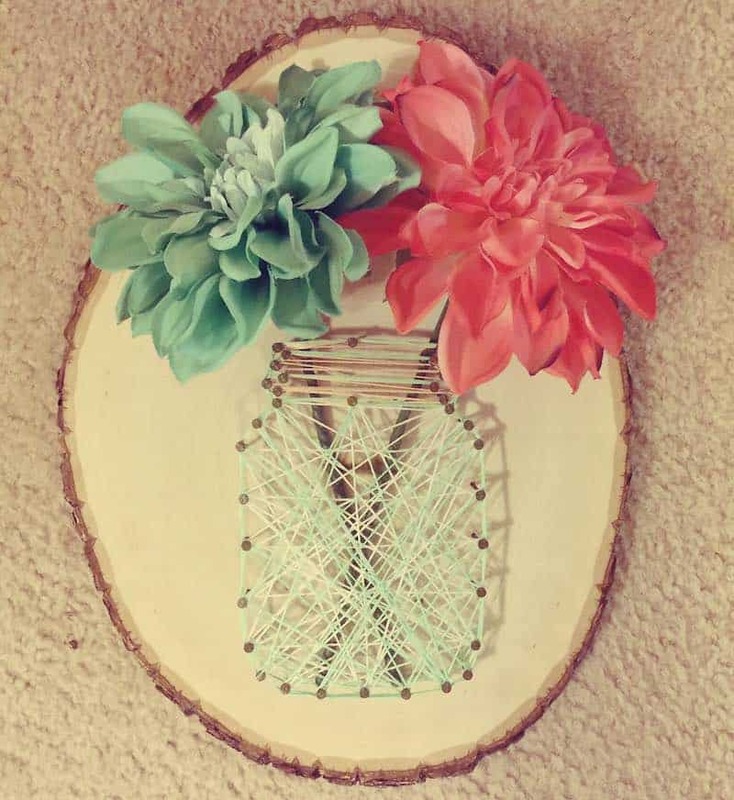 Just look how cute this Mason Jar string art is. I am showing it to my kids to see if one of them want to make it. Perfect decor for the mom that loves Mason Jars or the look of them. You could always add a personal touch by putting her favorite saying or scripture to the piece of wood with a sharpie. Nothing says love to a mother like a unique “vase” with flowers. Depending upon the mother you can fill it with fresh or fake flowers. Either way, you can customize it with different colors or a different message. I am sure any mom would love to receive this easy to make tin can vase for Mother’s day. 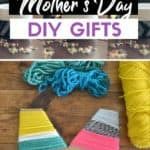 This DIY Mother’s day gift Idea is sure to please because you can customize it with your wife or mom’s favorite things. This says I thought about you and your needs without being cheesy. It’s something that won’t wither away but it will get used and help her remember who gave it to her. Have the kids pick out the items, sometimes they can be very creative and think of things we wouldn’t even think of. 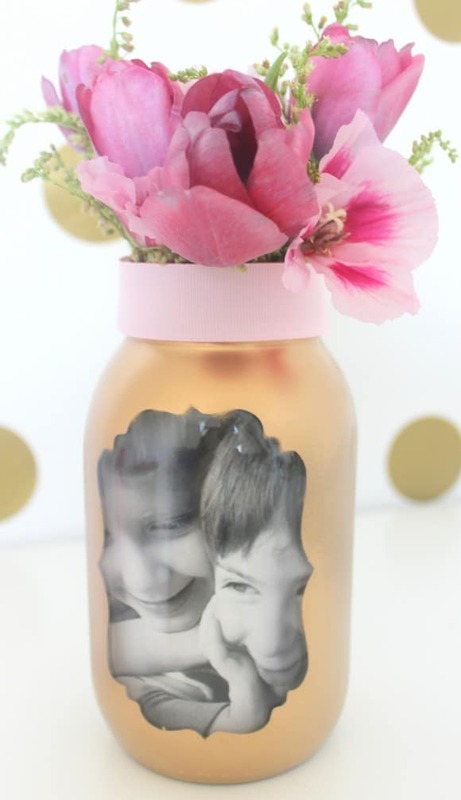 This is one of our favorite easy DIY Mother’s day gift ideas that anyone can do. This one is similar to the Survival kit but on a bigger scale. This Mother’s day in a jar lets you fill a big jar with her favorite things from snacks, to food or personal care items. This easy DIY Mother’s day gift idea will have her enjoying it for weeks, if not months ahead. 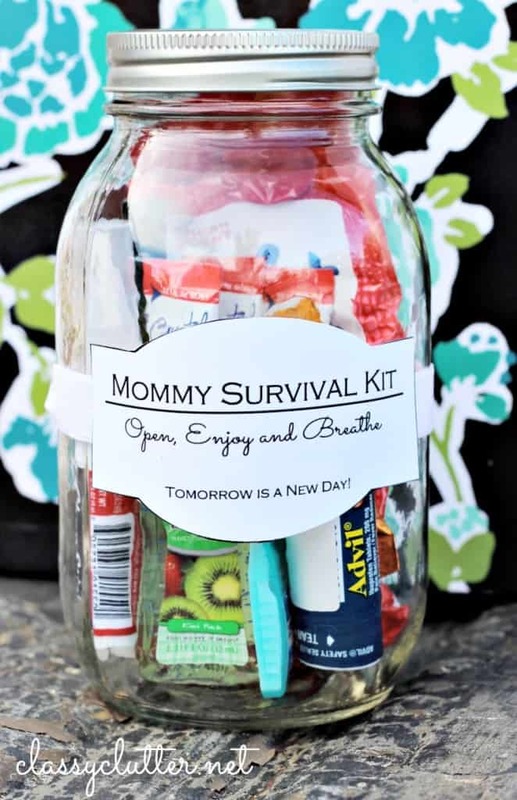 Get the kids involved and let them each choose an item or two that will go in the jar. Nothing says I love you like something homemade that they can use often. 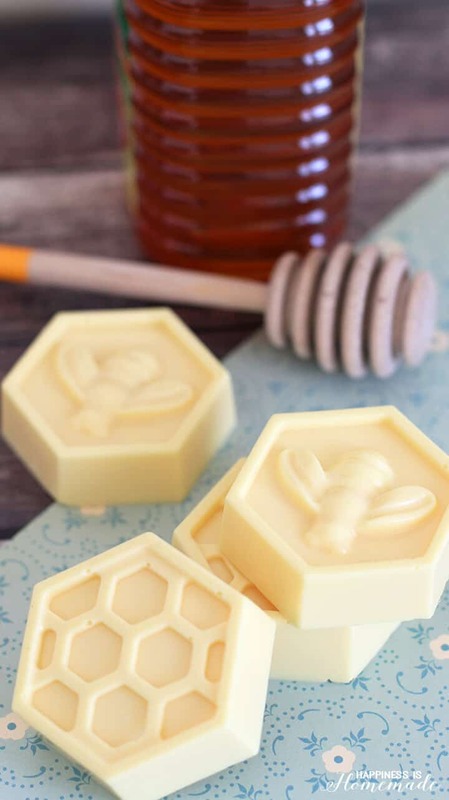 This way every time mom is relaxing at bath time and picks up her soap she will think of the effort you took to make this cute milk and honey soap. You don’t have to tell her it was simple and fun to make. Just let her know it was made with love and care for her. Hint for the dads on this one. Have the kids make this in advance, then make sure you take care of bedtime with the kids. That way mom can truly enjoy her milk bath without being interrupted by the kids. 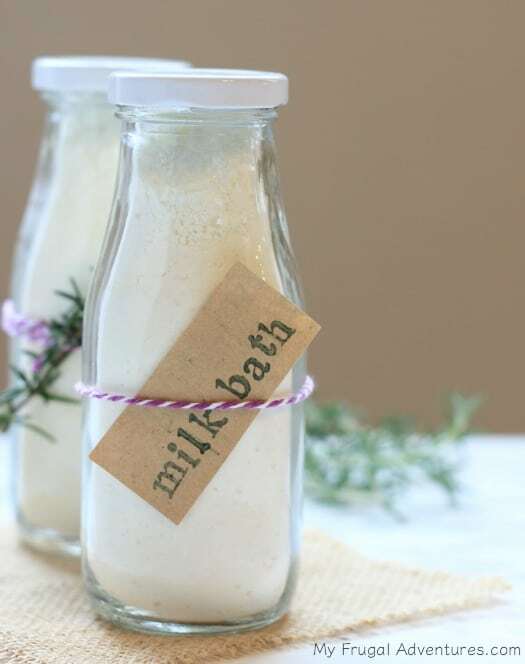 Then the days stress can just melt away with this lavender milk bath DIY Mother’s Day gift idea. In addition to her knowing you took time to make this, she will know you want to make sure she can relax. This rose milk bath bomb will have her feeling like she got a dozen roses without having to worry about keeping them alive. She can just relax and enjoy her bath time. Mom will know you love her and it didn’t cost a fortune. If your mom has a sweet tooth then this gift idea is sure to please. It serves as a cute decoration that you can eat. These sugar cookies are made with the intention of being a stand-alone great cookie or put them on a stick to make your own cookie arrangement. As I was checking it out I have the idea of even making cupcakes to put the wildflower cookies in. If the mom in your life loves macaroons then this is the gift for you to make. It’s macaroons with a mom twist that is sure to please. These macaroons are mom and cherry limeade inspired. Cherry Limeade Macaroons that we are going to call Momaroons. If she is a fan of Cherry limeades she is going to love these. Whip up a back and surprise her with this delicious gift. Make mom this easy DIY Mothers day gift idea because she is worth more than gold. I don’t know any moms that wouldn’t love some chocolate as a gift. This way mom will get the best of both worlds, something that glitters and something she can eat. 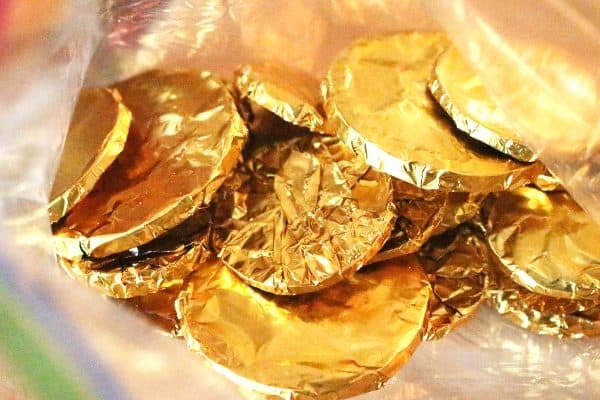 Spoil mom with this chocolate treasure. What mom doesn’t like a surprise breakfast for mothers day? Ok well, some of those surprise breakfasts can be interesting, but not with this one. She will smile with delight and joy knowing you took the time to make breakfast cinnamon rolls. The best part is you as a family can enjoy them as well. Just make sure you have all the ingredients as you don’t want to run to the store last minute. We all know that there is no way to measure the amount of love we get from our moms. This gift reminds our mothers that her love is always appreciated and we know it is always overflowing. While this gift is ideal for a mom that cooks, but I honestly think any mom would love to receive this gift. 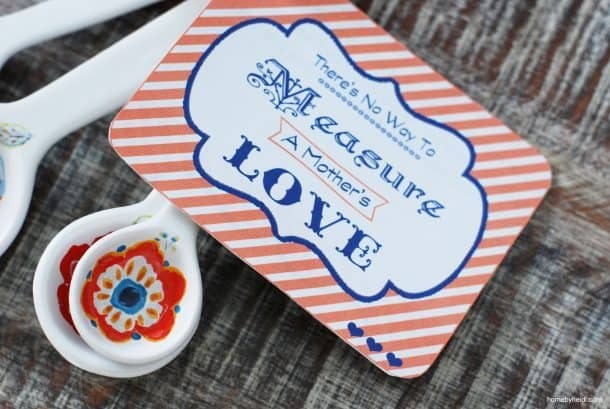 I may have to add this one to my gift ideas from the kids for this Mother’s day, as we can always use more measuring spoons. In today’s digital society I think we miss the opportunities to cherish or print the moments. 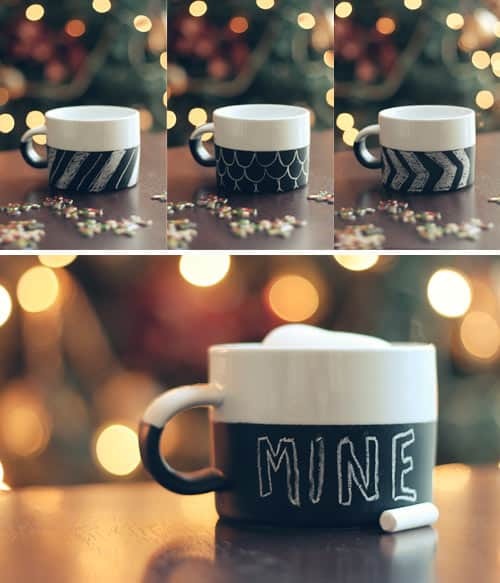 With this DIY gift idea you can print those memories or moments you know she loves. Hint if you plan ahead you can try to get free prints from time to time from Walgreens. She will be encouraged with the message and smile with the photos you choose. This one will make any mom grin ear to ear. This is a cute flower that she can keep on her desk, by her makeup or honestly anywhere at work or at home. 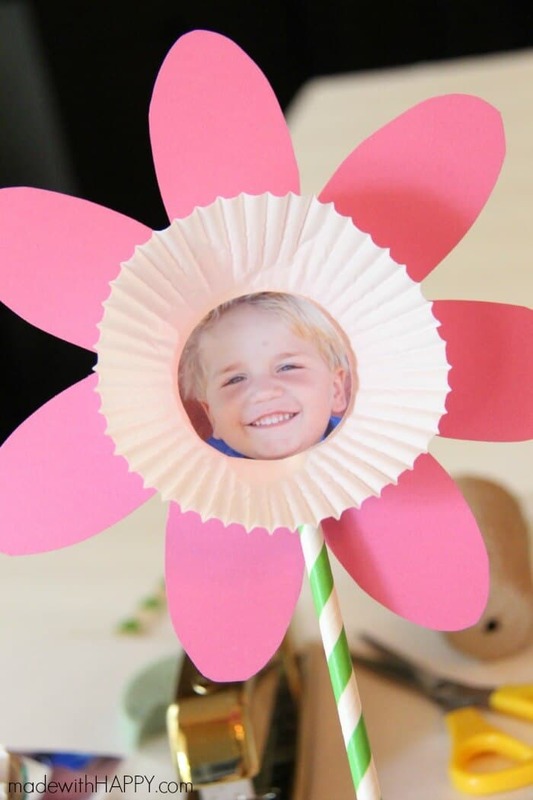 This easy DIY Mother’s Day gift idea will have mom blooming with joy when she receives this gift. Plus it is easy enough even if you have multiples you can create one for each child. Now you have plenty of great choices. 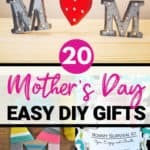 The real question is which item from the Top 20 Easy DIY Mother’s Day Gift Ideas do you feel fits the mom or wife in your life best. Don’t worry about which one you choose as I am positive any of them will make her smile because she will know you took the time to make it. But if you really don’t have time for any of the DIY Mother’s day gift ideas you can always grab a gift card and take her out to lunch. Some women may like this even better, try scheduling a time where she can go out to eat by herself or with some friends as anyone with kids can always use some me time. Remember it isn’t always about the gift many times it is about what we say, and we are here to help with 20 things every wife loves to hear. 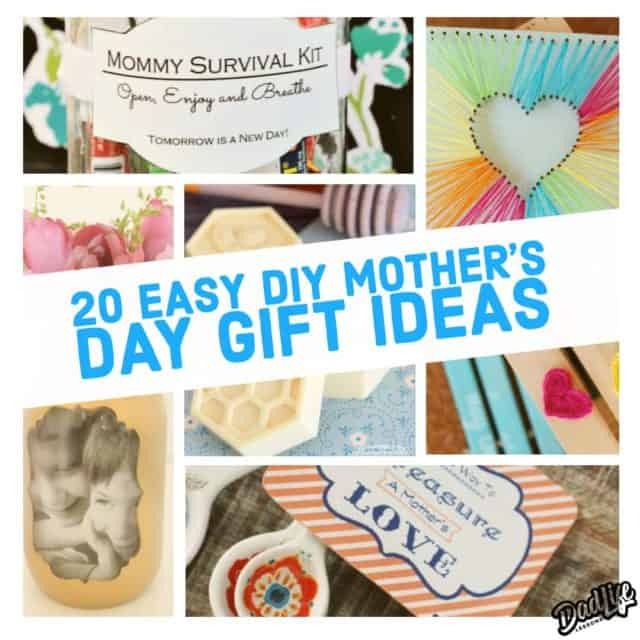 Do you have an Easy DIY Mother’s Day gift idea? Let us know in the comments below and you never know we may update the list of ideas to include yours.